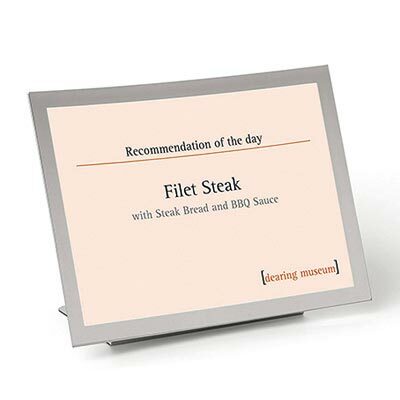 Thanks to its clever design all information can be changed quickly and easily. 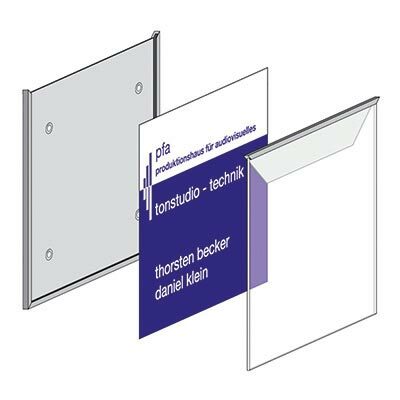 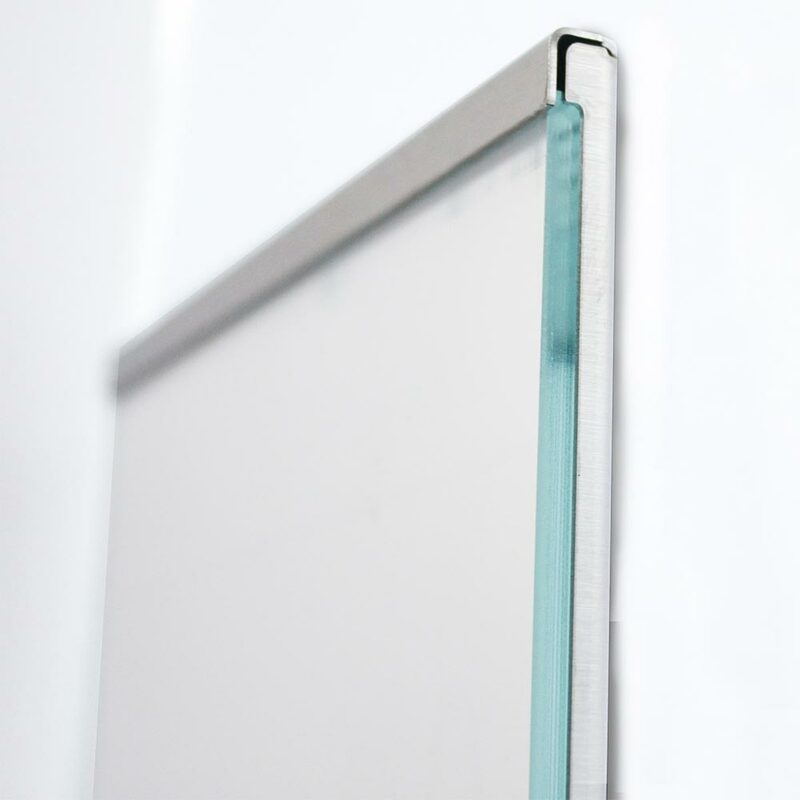 The cover panels are made of crystal blue acrylic or tempered glass and simply pushed upwards to open the frame. 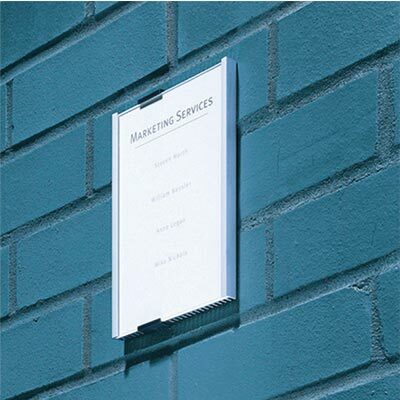 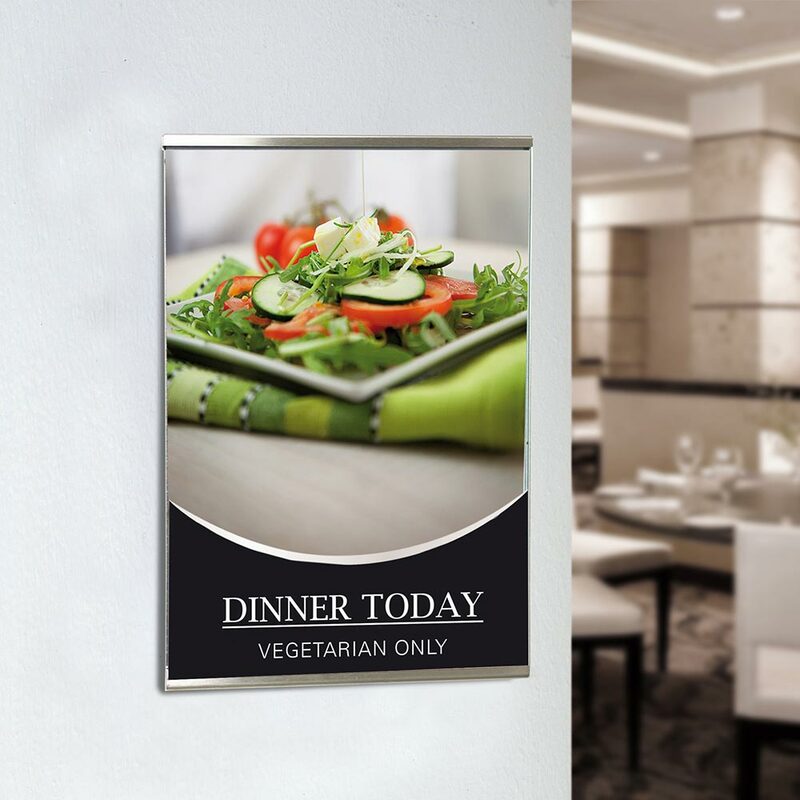 The extra flat frame in brushed stainless steel gives your presentation an on-trend look. 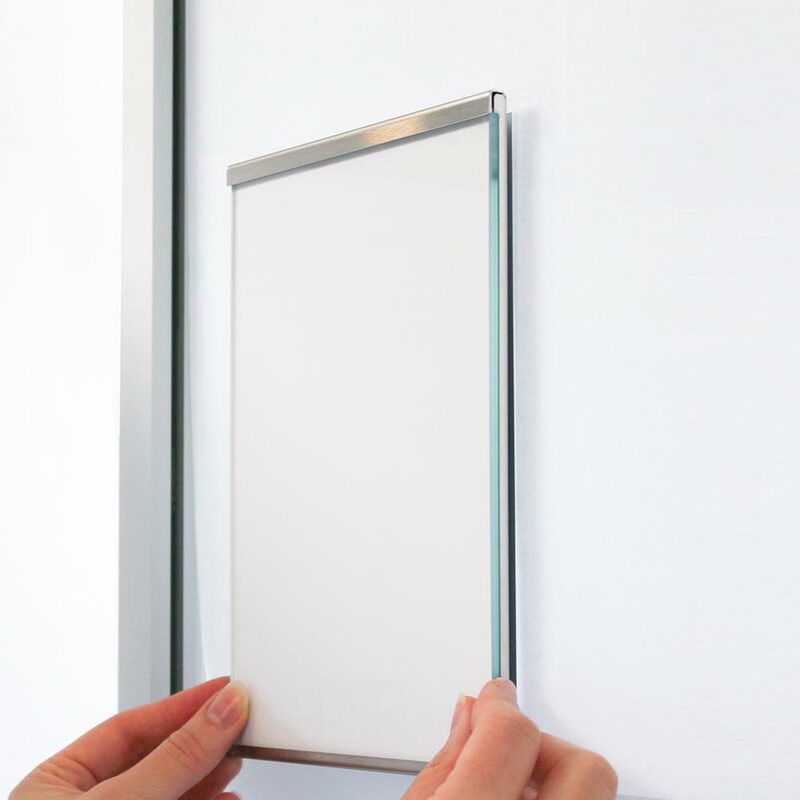 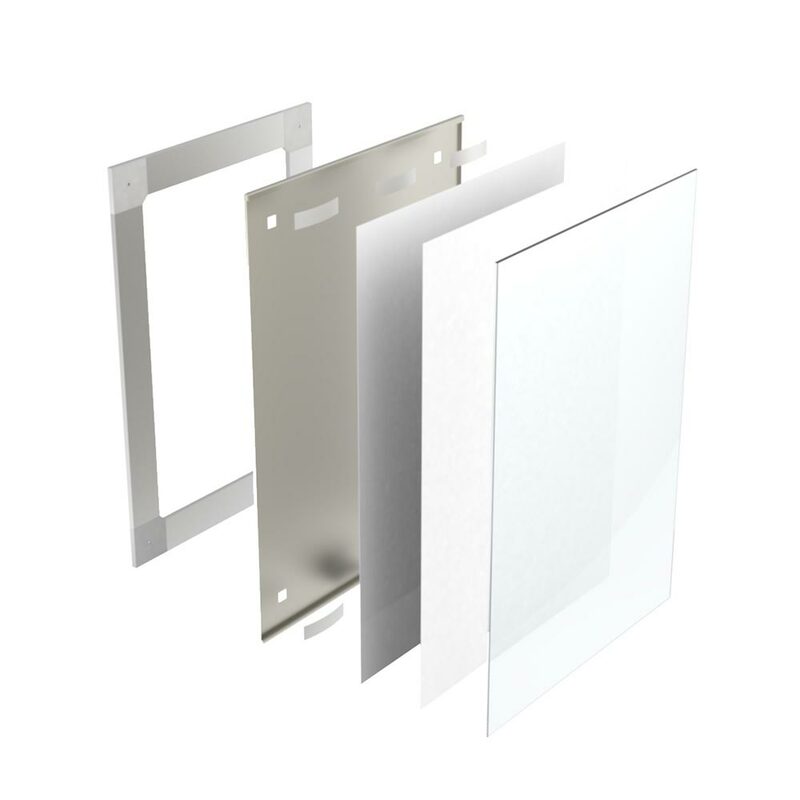 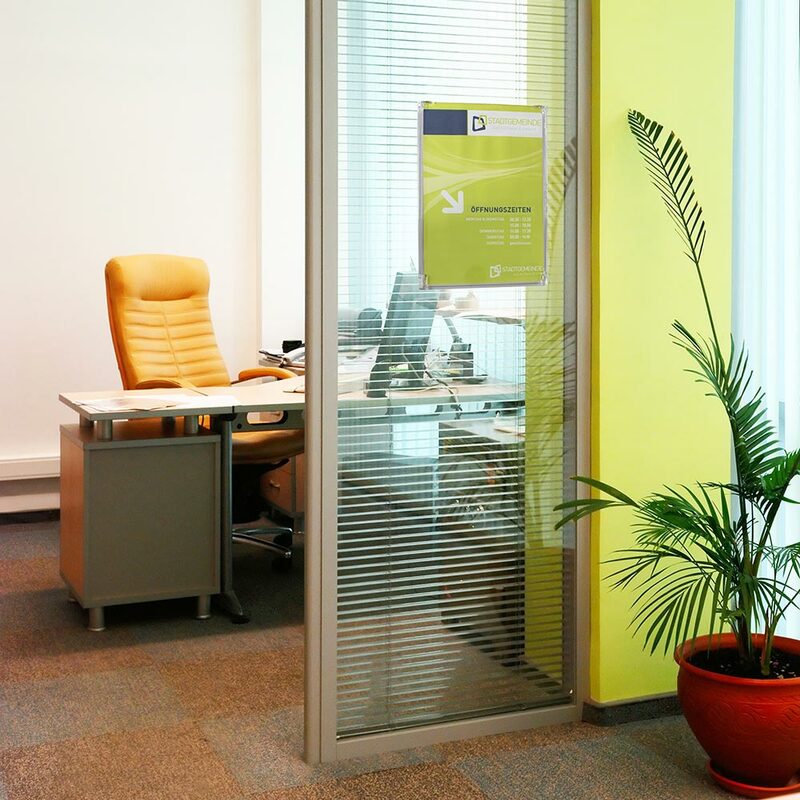 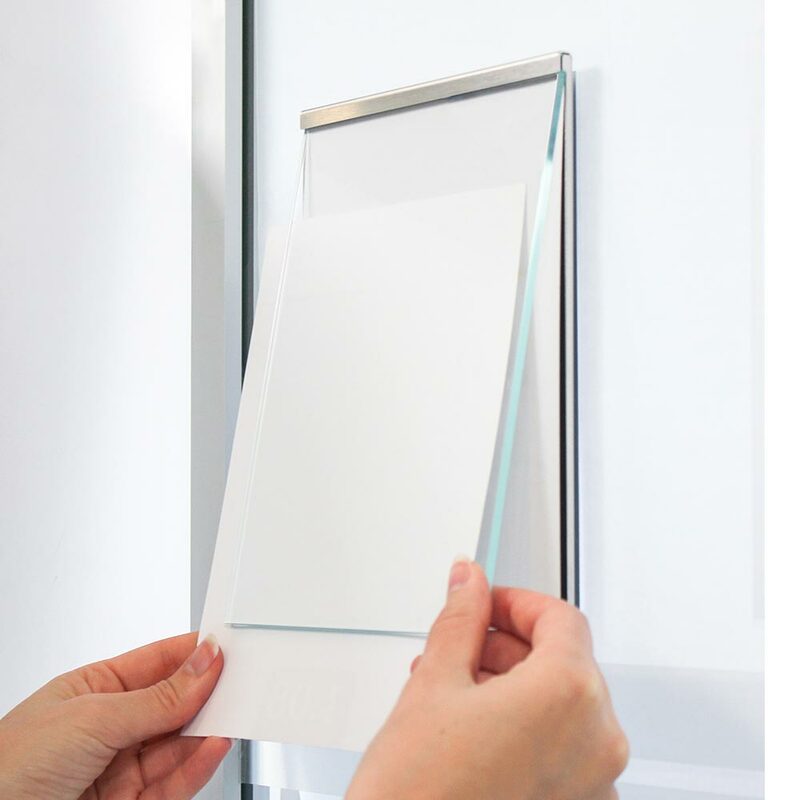 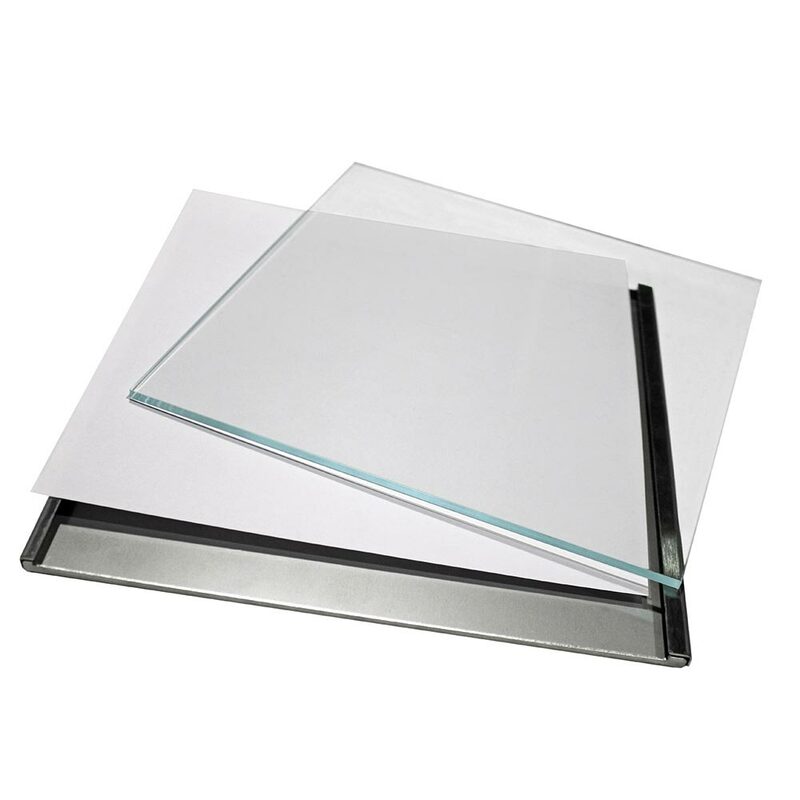 All Glassnox products can be mounted with special adhesive tape to smooth surfaces. 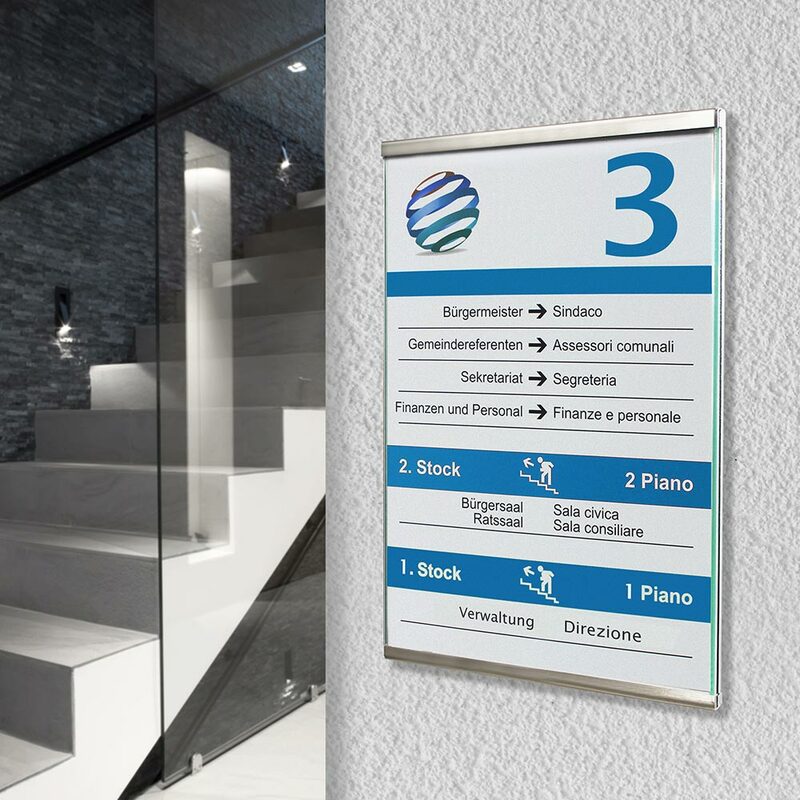 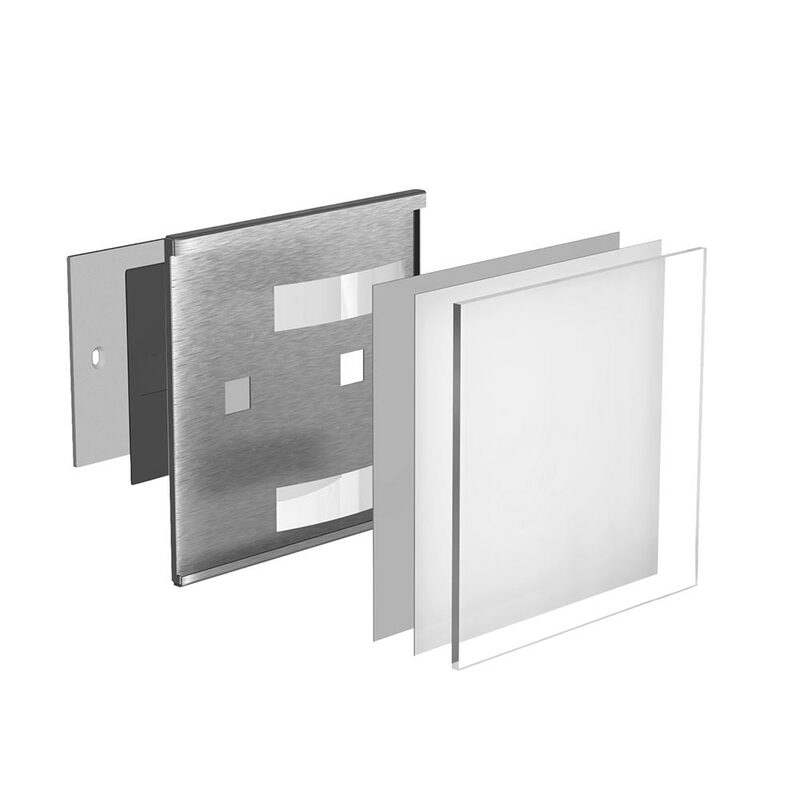 Glassnox is perfect for elegant signage as well as for frequently changeable information.